These ants were passing the path in bulk. 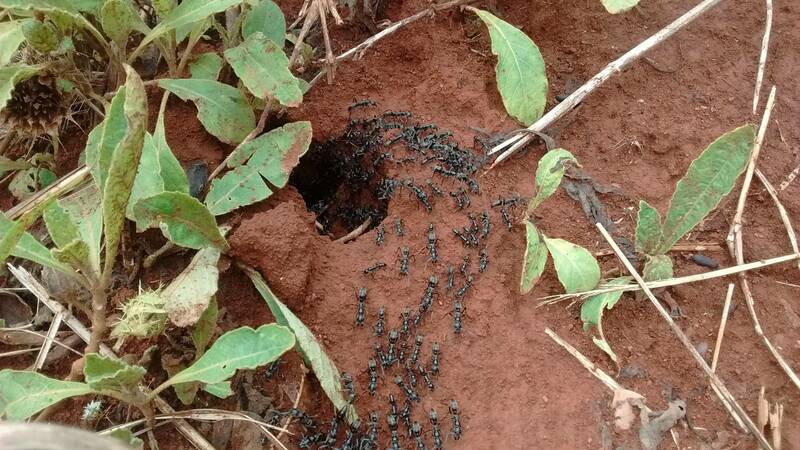 I mean, really really large quantity of ants. When motorcycle crossed over their path, they quickly communicated it to each other and returned back into the hole.